Trail use in the White Mountain region has experienced an increase in non-motorized use in recent years. With ample accessibility and four season promotion the regional trails are being used consistently year-round. The popularity of hiking, biking, and winter recreation sports are on the rise and our trails provide these wide range of users opportunity to get out, exercise, explore, connect with nature, and test their skills and abilities. In recent years, there has been no season in which trails get a substantive rest from constant use. This high frequency of use in combination with the region’s historic trail design and high rainfall averages multiply the effects of erosion and soil loss, resulting in trails of poor quality and the need of serious maintenance efforts. 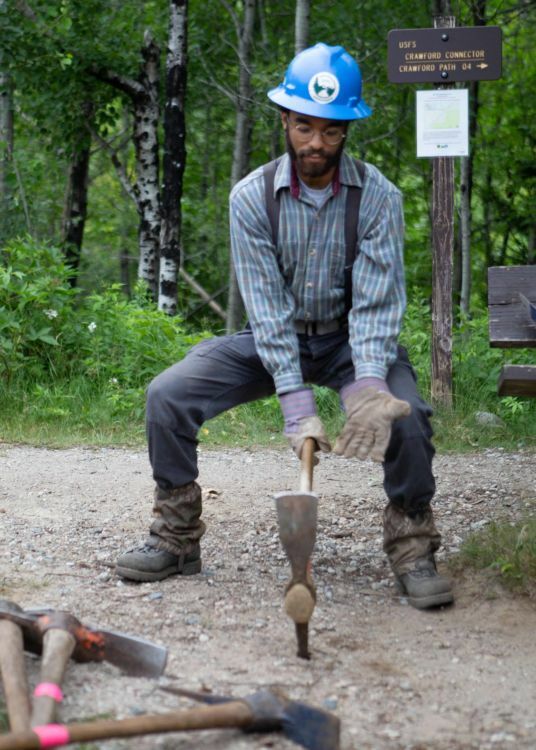 Many miles of trails are maintained by trail clubs and volunteers who are limited by a combination of resources and skills, while federal support for trail maintenance is at an all-time low as a result of constrained budgets. With resources stretched, the best we can manage is to chip away at only the most severe problems on any given section of existing trails, while ignoring other problem areas deemed not as severe. 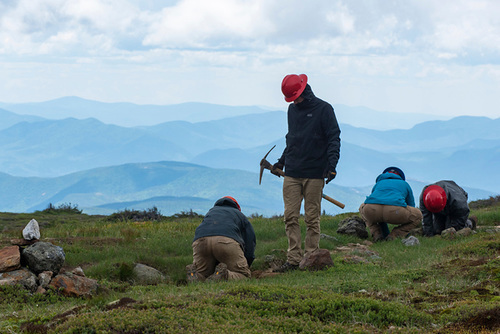 Our goal is to realign trail stewardship in the White Mountains region in a manner that better utilizes and implements funding, trail crews, volunteers, and other resources in a more collective way. 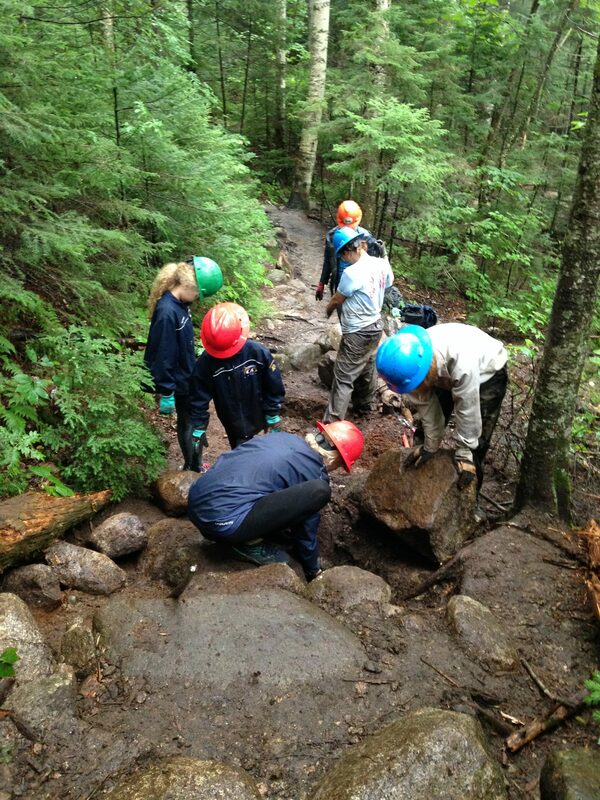 By mobilizing like-minded partners and sponsors and through fund-raising, public advocacy, and boots on the ground, this collaborative group will be able to change the current approach to trail stewardship and maintenance in the White Mountain region while preserving the legacy and culture of the individual organizations. By working together collectively “rowing in the same direction,” we can protect the White Mountains trail systems that current and future generations will enjoy in perpetuity. Celebrate with us on September 29th! This web page has been made possible through a grant from the New Hampshire Charitable Foundation to the National Forest Foundation. We at the White Mountain Trail Collective wish to thank these tremendous organizations for their generous support. It is the collective impact model in action! "Funding for the White Mountain Trail Collective was provided by the New England Grassroots Environment Fund."